Wahey! So I finally decided to jump into the bandwagon and get in on the In My Mailbox action. 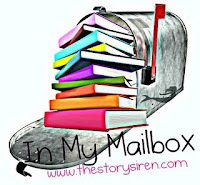 IMM is a weekly meme created by The Story Siren for book bloggers to share their books and book-related items that they've got for the week. It's a great way for book bloggers to share about books that we're excited about. This Christmas week, Santa has been pretty good to me. Please excuse the photos. 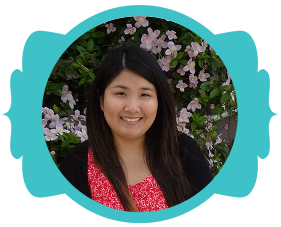 I was a bit pressed for time for retakes. 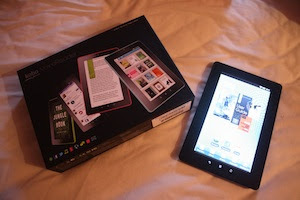 I've only just started playing around with the Kobo Vox, but I'll be posting a review on it soon. I tried to find as much info on it as I can before I got it, and couldn't really find much helpful, in depth info. So far, very few snags and I love it. Thanks to my lovely mother for giving me this wonderful present! 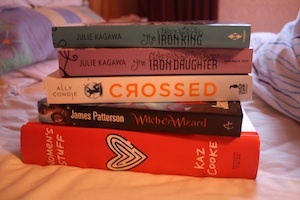 I'm really excited to start reading The Iron Fey series by Julie Kagawa. The Iron King was given to me by my Secret Santa from The Broke and The Bookish. It sounds like a nice break from vampires and zombies. 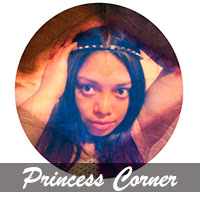 A teenage girl finds out that she's the daughter of a faery king? Sounds good to me! Even better when I found The Iron Daughter (book 2) for $7. Got to love Boxing Day sales! I found a copy of James Patterson's Witch & Wizard at the sale too. I know it's been around for ages, it's one of those books I kept meaning to check out. The story of a sister and brother duo who suddenly wake up as wanted criminals, accused of having special powers, sounds pretty good. Plus it'll be interesting to read James Patterson dabble in fantasy. Lastly, Women's Stuff by Kaz Cooke was a present from a friend of mine. I'm a little dubious, but it looks like a fun read. It apparently covers everything a woman needs to know, and contains lots of quotes from other women. If you'd like to know more, visit the Women's Stuff book website. I also downloaded Carrier of the Mark by Leigh Fallon as well as Mr. Darcy, Vampyre by Amanda Grange for my Kobo. 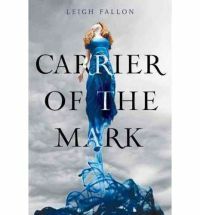 I must admit, Carrier of the Mark is another one of those purchases where I got sucked in by the pretty cover. 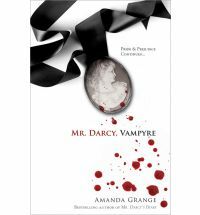 As for Mr. Darcy, Vampyre, it carries on from the end of Pride and Prejudice, where Mr. Darcy reveals his dark secret to Elizabeth. Yay---you got an e-reader!! I'm sure you will love it!! Enjoy it and all the great books you got!! 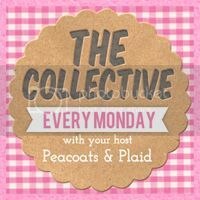 Thanks for stopping by my post this week. Looks like you got a nice selection of new books there and I hope you enjoy your new Kobo too! Nice haul! I have the Kobo Touch and I really like it. I was curious about the Vox.